Welcome to REALTECH, your source for industrial cylinder, seals, and component needs. Since our inception, REALTECH is committed to supplying industrial cylinder, seals, and components of unsurpassed quality. The rugged design of our extensive product line has been proven in the toughest environments, including the automotive, steel, foundry, marine, and sawmill industries. Add to this REALTECH excellent delivery and competitive price and you have the best value the industry has to offer. 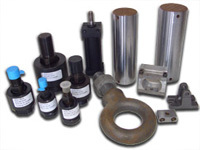 REALTECH represents premium seal, gasket, hydraulic and pneumatic cylinders manufacturers. REALTECH provides superior customer service with excellent delivery times and competitive prices. Our NFPA cylinders are built to perform on the toughest applications. Incorporating a variety of leading-edge advanced features, proven through the years, these cylinders will provide a long, maintenance-free service life. Their advanced engineering combined with quality materials and expert workmanship, contribute to the making of a rugged-quality product. 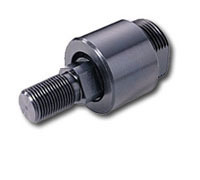 We are one of the leading suppliers of a wide range of industrial seals. Manufactured using quality material procured form reliable sources; our range finds application in various areas. Further, our professionals make certain that the range is at par with all the requisite standards. Need to add to your application or replace a worn out part on your machine? Need something custom made? REALTECH has the capabilities of providing you with specialty parts manufactured to your specifications. REALTECH has partnered with the area’s leading manufacturer of tooling design to produce the highest quality parts with competitive pricing. Rod end clevises, rod end couplers, male eye brackets, pivot mount brackets, female clevis brackets, rod eyes, trunnion mounting brackets, coupling plates, coupling plate nuts, and deceleration manifolds. 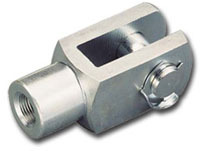 The linear alignment coupling is threaded into the load cell or upper crosshead in-line with the upper grip. This allows the upper grip to hang free and provide alignment when a specimen is gripped with the lower rigidly mounted grip. REALTECH also offers machine and handling components that roll, stop, hold position, and protect your parts as well as a full line of air fitting and tubing.